Michael Logurcio has had enough of the snow already. As he stood on his snow covered Ridge street Monday afternoon, Michael Logurcio couldn't hide his frustration with old man winter. "It's already been a long winter and it's only January fourth," Logurcio said. A surprise storm that lasted into Monday morning had dumped up to ten more inches of snow on eastern Long Island -- the same area battered with two feet of the white stuff during December's blizzard. More surprising than the amount was the fact that areas just a few miles west saw only a dusting. "I don't have to shovel again?" wondered Debbie Contratti of Shoreham as she watched the snow fall. A few hours later, Contratti was in front of her house, shovel in hand, performing the task she had been dreading. "I'm counting the days until spring," she said. So, too are local government officials who saw snow budgets tapped by the December blizzard. Brookhaven town is already seeking reimbursement from the Federal Emergency Management Agency for three million dollars in snow removal costs from last month's storm. The same snow plow drivers who battled the blizzard for close to 48 hours were back at it again Monday. 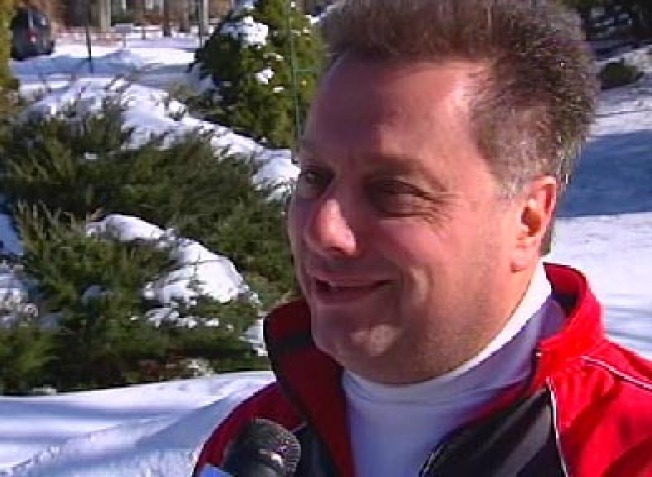 "I've been out here about twelve hours already," said Anthony Serio. "We're just trying to clear the streets and I hope people think we're doing a good job."